Brad and Jennifer Sumrok are always on the go: From traveling around the world, to teaching students nationally and having homes in two states. We caught up with Brad one recent afternoon as his wife prepared some healthy shakes in the background. The financially independent couple were getting ready to take off to Hong Kong and Thailand for a 24-day birthday getaway. The Sumroks have a second home in the sunny Gulf Coast of Florida, but say they get away internationally at least two times each year. Recently that includes destinations like Italy, Costa Rica, and Machu Picchu in Peru. 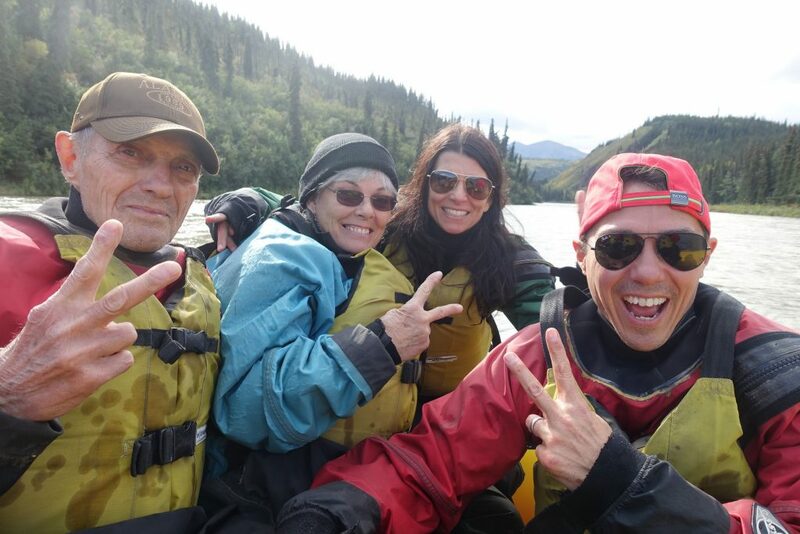 Though Brad says one of his most memorable excursions was taking his dad on his dream vacation — a 13-day cruise and land exploration of Alaska, for his 80th birthday. On another occasion Brad took off to live in Mexico for six weeks to immerse himself in the culture and learn Spanish. For the Sumroks, financial freedom came from investing in Multifamily real estate. Brad says that in 2003 he found a mentor who taught him about real estate and financial independence. In under three years, Brad replaced his six-figure corporate income and put $1M in his pocket from his investments and quit his job. He was just 38 years old. What do you do when you don’t have to work to survive anymore, especially starting at such a young age? While you’ll find Brad Sumrok’s popular Facebook profile rich in travel pics, workout videos, and his investment properties, Brad says that he really found his gift in teaching others how to master investing in apartment buildings for passive income. Although he had rarely spoken on stage prior to getting into real estate he says “when you are led to something, when you are living in your passion, and area of mastery, you are not really working.” Adding that what he does now is simply “sharing life experience and transferring that mastery,” to his students. Brad Sumrok currently hosts three weekend training events in Texas each year. These March, July, and November events attract hundreds of attendees from all over the United States, and beyond. Over 400 guests visited the March 2017 weekend, which combines live training and loading up in buses to get out and look at active multifamily property deals. As of early 2017, Mr. Sumrok personally owned property in five states, and six different property markets. In the last year his students acquired 29 multifamily complexes, in 11 markets, totaling 2,885 units, worth $133M. Brad says there are three main types of attendees at his events. This includes: active single-family home investors who are feeling the pain of daily management and trying to scale, and passive investors who have capital to work with and want hands-free, cash-flowing opportunities. Or like him in 2002 — the educated corporate workers who may have some savings, but have never been taught about being an investor or business owner, and who may want to skip over single-family investing and start immediately as a multifamily investor, either buying large deals as a Syndicator or smaller deals with their own money. While his weekend training events are held in Texas, the strategies taught there can be applied anywhere in the US, as demonstrated by many of Brad’s students and Brad himself who buy in different US markets. Brad says that while he enjoys world travel he believes success comes when you “invest in what you know, and where you know,” and that area of mastery for this educator is in US apartment buildings. While this may sound complicated or a big move to make, attendees love Brad’s ability to break it down and make it simple. For those who can commit a few hours per week, achieving their own financial freedom can be a realistic and attainable goal as well. Those interested in finding out more about Brad and his events can do so online at ApartmentInvestorMastery.com or BradSumrok.com. Then it’s up to each individual and family to decide how they will flex their freedom. For the Sumroks, it isn’t just travel and education, but also increasingly enriching others’ lives. Recently that has included help- ing family members realize their dreams, charitable contributions for back to school drives, and organizing and matching charitable donations and GoFundMe campaigns for local people such as those who need critical surgeries, but lack the funds. What will you do with your freedom?